Hi everyone. It’s been a while eh? Well it’s been a couple of weeks and I’ve got the excuse that I’ve been off sunning myself in Turkey. But, after getting home, it’s obviously necessary to get back on the bike. 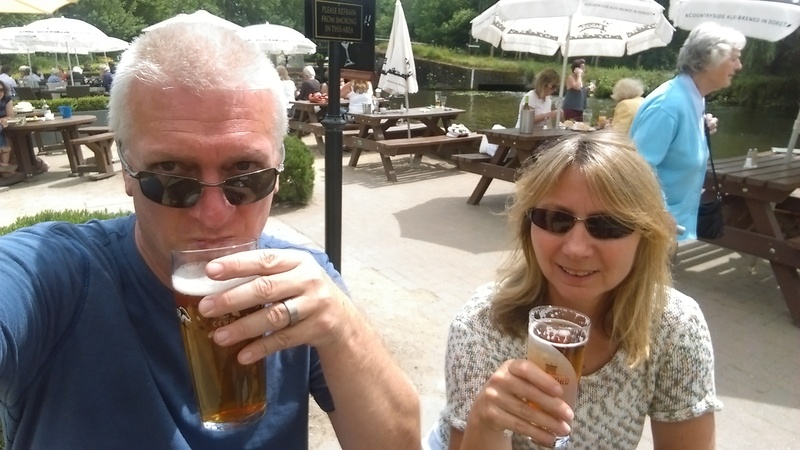 But the weather has been great and it’s much nicer to have company when cycling so why not have a trip out with Mrs D (after all, her bike didn’t get stolen) and enjoy the treats that the canal and river have to offer? There are a few things to note when cycling in a pair or group: there’s always limited space and you don’t want an accident or, even worse, end up in the river! Pedestrians are a greater hazard and, obviously, at greater risk when there’s more than one of you. Pay attention! Despite it being ideal weather conditions we still had a couple of close shaves with one old geezer (with an improbably long beard) nearly riding into me head-on despite my ever-more-frantic bell ringing…. He was just looking across the canal at all the pretty houses and not paying a blind bit of attention. Fool. But these are mere annoyances. 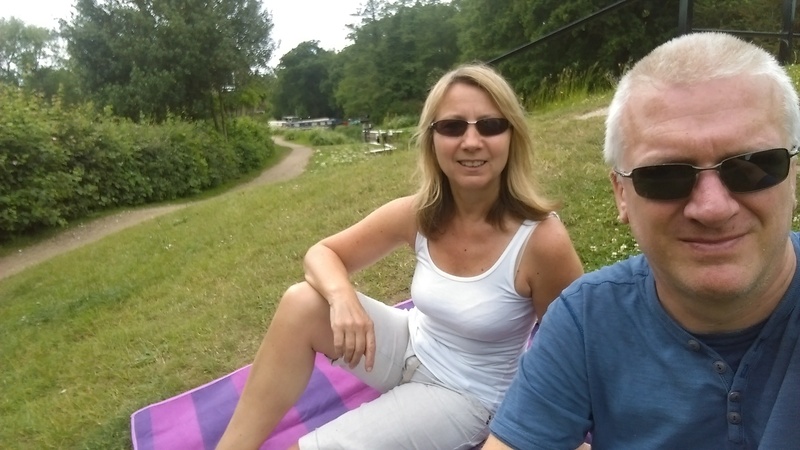 It was great to have conversation, mutual enjoyment and, mainly, a picnic! I’m afraid I can’t prove that this was a picnic as I’d scoffed the food before I took the photo, but I did take the picnic blanket. That proves it, doesn’t it?? And the other benefit of there being more people on the ride is that someone can watch your bike whilst you get the beers in! So it was a good way to ease myself back into the saddle! One last thing to be cautious of is that some parts of the path can be a bit narrow for two bikes. As a good friend Andy found out a few weeks back, this can hide hazards like logs which, in his case, spilt him off the bike and into nettles. Ouch. Good news Andy: the log has been moved so you’re safe next time we go out!